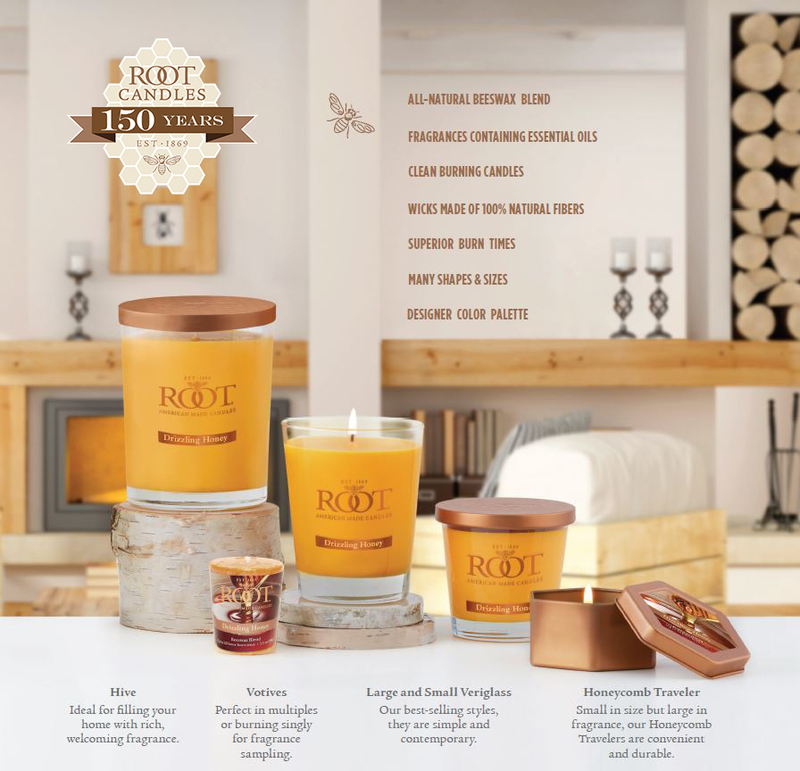 For five generations, Root Candles in Medina Ohio, has crafted candles of uncompromising quality to enhance the ambiance of your home. From our all-natural beeswax blend, to our fragrances containing essential oils, to natural fiber wicks that are braided on-site, each Root Candle is crafted with perfection using only the purest of ingredients to bring you a candle burning experience unlike any other. Root Candles are offered in a variety of shapes, sizes, and colors to complement any decor.